March 5, 2019 at 4:20 pm EDT | by Lou Chibbaro Jr. 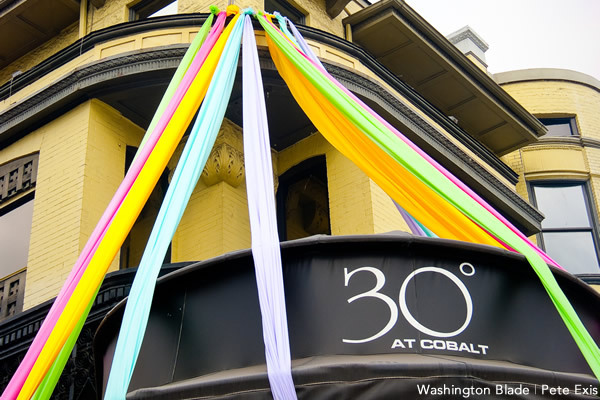 The D.C. gay bar Cobalt, which has operated in its three-story building at 17th and R Streets, N.W. near Dupont Circle for more than 20 years, is closing its doors for good this week, according to a Facebook announcement by its owner. The closing comes six months after the adjoining three-story townhouse buildings it occupies at 1639 and 1641 R St., N.W. and an adjacent building were sold for $4.75 million to a developer that announced plans to convert the buildings into residential occupancy. 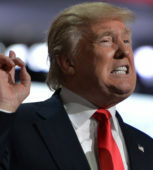 At the time of the sale Cobalt said on its website that its lease for the buildings it occupied extended until 2021 and it planned to remain open indefinitely. But in a Facebook posting on Tuesday, Cobalt owner Eric Little said circumstances have changed. “With the combination of the sale of the buildings, the start of demolition, costly infrastructure repairs and upgrades that we would need to shoulder to remain open for the short remainder of our lease (without the opportunity to extend the lease) along with a slow decline in sales we decided it was the right time to close the business to focus on our other businesses and some personal family needs,” Little said in his statement. “For more than 20 years, our amazing customers and incredible staff have contributed greatly to the DC-area LGBT community and we have always strived to do our part to strengthen local organizations, businesses, and the entire 17th Street neighborhood and we couldn’t be prouder of the legacy Cobalt leaves behind,” Little’s statement says. He noted that the gay bar industry has been changing in recent years, with dating apps, pop-up parties and events held at non-gay venues, and changing social norms having an impact on traditional gay businesses. He said he applauds these changes. “And it is our hope that patrons will encourage these new businesses to support the greater LGBT community to continue the good work and social change that Cobalt and all of the many other gay bars, restaurants, and businesses (past and present) have worked so hard to achieve,” Little said. Little also owns the nearby gay bar JR.’s at 1519 17th Street, N.W. The Cobalt closing follows the closing last year of two other popular gay clubs. Town nightclub, the city’s largest gay dance club located at 8th Street and Florida Avenue, N.W., shut down last June after the building it had been leasing was sold to a developer that has since demolished the building to build high-rise condominiums and retail outlets. The Town owners haven’t said whether they plan to reopen in another location. Also closing last year was the longtime Capitol Hill gay bar Bachelor’s Mill, which catered to a largely black gay clientele. Unconfirmed reports surfaced that the owner or an event promoter who held special events at the Bachelor’s Mill in the past may try to reopen it. But the city’s Alcoholic Beverage Control Board on Feb. 27 issued an order cancelling the Bachelor’s Mill liquor license on grounds that its owner failed to place the license in “safe keeping” as required under city law when a bar or other establishment with a liquor license stops operating. Under the city’s liquor law a “safe keeping’ status means the licensee pays the city an annual licensing fee to hold the license until the owner decides to reopen, sell the license, or possibly transfer the business and license to a new location. In yet another development in the D.C. gay club scene, the gay bar Green Lantern, which is located at 1335 Green Court, N.W., in an alley near Thomas Circle, has been placed on the market for sale for $2.9 million, according to a real estate listing. Green Lantern owner John Colameco couldn’t immediately be reached to determine whether the sale includes both the building and the business, whether he plans to close the Green Lantern or move it to another location.